The following terms apply to the use of the website www.vikan.com, including the different language versions of the website and the website behind login (the latter referred to as the 'Website Behind Login'), which is owned and provided by Vikan A/S, CVR (business registration) no. 10290147, Rævevej 1, 7800 Skive, Denmark ('Vikan' or 'we') (the 'Website'). By visiting and using this Website and the services provided on the Website, you agree to the following terms. 1.1.1 Vikan, our associated companies or business partners own all rights, including but not limited to, copyright and trademark rights and other intellectual property rights to the content on the Website, such as names, logos, trademarks, text, product lists, de-scriptions, articles, news, white papers, drawings, graphics, images/photos, icons, software and other material ('Material') and may only be used by prior permission from Vikan. 1.2.1 Unauthorised copying, dissemination or public display of Material on the Website is prohibited by the Danish Copyright Act and may result in civil and criminal sanctions. Altering or removing Material on the Website is also prohibited. 1.2.2 It is possible to link to the Website, but it is not possible to link from the Website Behind Login. 2.1.1 As a registered Vikan distributor, you can download product descriptions, logos, mar-keting material etc. for use in the sale and marketing of Vikan's products to the end customer via the Website Behind Login. Such use must at all times clearly identify Vikan as the owner of the rights and state Vikan's name and logo (hereinafter referred to collectively as 'Marketing Materials'). 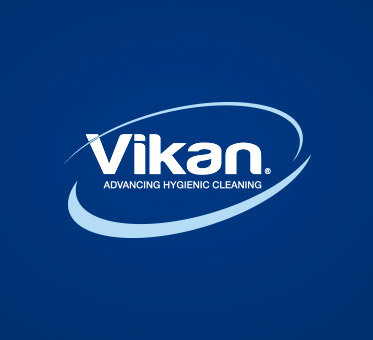 To the extent that the distributor uses Vikan's Marketing Materials, it must not be possible to confuse the distributor's identity with that of Vikan when using the Marketing Materials, and any use of such Marketing Ma-terials must therefore be clearly distinguishable from Vikan's look and feel. Any other use is prohibited. 2.1.2 All Marketing Material is made available in the format displayed on the Website and in the available languages. 2.1.3 All rights pursuant to clause 2.1.1 lapse when the collaboration between Vikan and the distributor ends, and the distributor must then return all downloaded Marketing Ma-terial to Vikan or confirm in writing that the material has been destroyed. 3.1 Vikan strives to ensure that the Website is available at all times without interruptions. However, service interruptions may occur which will make the Website temporarily unavailable. Furthermore, Vikan is entitled at any time to suspend, interrupt or modi-fy, temporarily or permanently, the Website or any part thereof without notice. Vikan accepts no liability resulting from such suspension, interruption or modification. 3.2 Information on the Website is provided without warranty of any kind, express or im-plied, as to the accuracy or completeness of such information. Furthermore, Vikan is entitled at any time to change the content of the Website without notice, including product descriptions etc. It is thus the distributor's own responsibility to stay up-to-date on available material on the Website in relation to sale and marketing of the products that the distributor offers to the end customer. 4.1 Vikan cannot under any circumstances be held liable for use of the Website, including loss of earnings, operating loss or loss of data, service interruptions or other direct or indirect loss. 4.2 Download takes place at the user's own risk. Vikan assumes no responsibility for any damage whatsoever arising out of the download, installation, storage or use of soft-ware or content on the Website, including damage and service interruptions caused by viruses and the like. 4.3 The user agrees that the Website may be used only for lawful purposes and that the user is prohibited from engaging in any behaviour which may harm the Website, in-cluding adding or removing anything from the Website or attempting to access parts of the Website which are not intended for the user. The user may not use the Website in a manner which infringes third-party rights. 7.1 When using the Website's chat function, blog etc. we request that users maintain a polite and respectful tone. We reserve the right to delete contributions which may be considered inappropriate or offensive. 7.2 All material, information or other types of communication as well as product ideas received from users via the Website will be considered as non-confidential and non-exclusive and will not entitle the sender to royalties. Vikan may freely use any such material, information, product ideas etc. received from users in a professional and commercial context, for example by granting licences for their use. 7.3 We have the right to freely upload, copy, distribute, incorporate, modify and/or oth-erwise use the communication together with all data, images, text and other things embodied therein for any and all commercial or non-commercial purposes. 8.1 Some of the functions on the Website are only accessible to logged-in users. Pass-words are generated automatically when creating a user account. The password is personal and confidential and may not be shared with third parties. Passwords will automatically be deactivated if the account is inactive for 18 months. 8.2 If you suspect that your password or user account has been misused, please contact us at marketing@vikan.com. 8.3 Vikan reserves the right to deactivate any user profiles and/or passwords, if we sus-pect any misuse. 9.1 We have the right at any time to amend the contents of these terms. We reserve the right, at our own discretion and without notice, to remove the information on the Website and to close down the Website. 10.1 If any part of these terms is deemed unlawful or void and thus unenforceable, it will not affect the validity and enforceability of the remainder of the terms. 11.1 Any matter or dispute arising out of the use of the Website is governed by the laws of Denmark. However, Danish Law’s international private law rules do not apply. 11.2 Any dispute which may arise out of the use of the Website must be settled by the Danish courts with the Court of Viborg as the court of first instance.